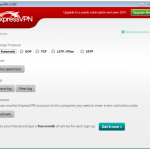 Don't decide for a VPN before you read our ExpressVPN Review! 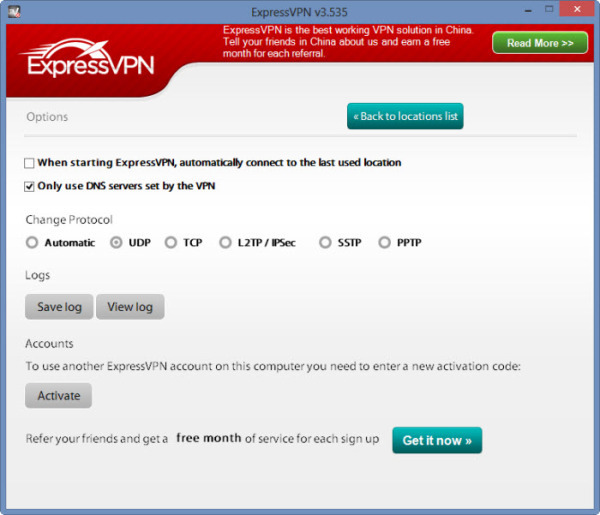 ExpressVPN is one of the best VPN services for the past few years. They do stand true to their promise of keeping all activities secured and private. The VPN company offer server selections in 78 countries. ExpressVPN also offer affordable rates which makes it a popular choice for a reliable and logless VPN service. 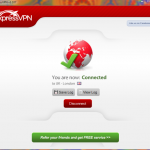 You may go ahead and check our comprehensive review of ExpressVPN here. Or visit their Website here. ExpressVPN is one of the best virtual private networking (VPN) providers for filesharing and torrenting, giving an inexpensive service which is fast and reliable, while securely encrypting all downloads to assure anonymity and privacy. ExpressVPN is not an American company (NSA Gag Orders! ) but from the British Virgin Islands. It offers customers a choice of more than 1000+ server locations within 78 different countries, so no matter where an ExpressVPN customer is located it’s an easy matter to connect via a nearby server for the greatest possible speeds. Reviewers highlight that the service is excellent for consumers with regular fileshare or torrent requirements as it is fast and the company keeps no logs. One of the prime considerations for anybody carrying out filesharing activity nowadays has to be the number of copyright “trolls” and also government agencies that are clamping down on what is considered to be copyright violations. When consumers register for VPN services they anonymize their Internet use, so third party can be aware of the sites visited or services utilized. For filesharers this means they will never receive legal notifications invoices or warnings about alleged “illegal” download activities. Signing up for an account with ExpressVPN is quick and easy and the service offers excellent support for Android and iPhone clients. Another positive aspect to the service is that it’s possible to log in from a variety of devices and it’s also possible to run simultaneous connections from a mobile device and computer. Support is limited to email ticketing only and there is no live chat support available, however the email ticketing turnaround is very speedy and, where customers experience difficulties with the service in early days, ExpressVPN do offer a 30 day money back guarantee which is quite generous when compared to some of the other VPN providers. For torrent users, the ExpressVPN service has servers located in the Netherlands, Hong Kong and Romania where torrenting is not frowned upon and speed tests all highlight that the service offers quick and efficient transfer speeds. Frequent travellers will find registering for VPN services provides them with the ability to route their computing devices via different locations so blocked and censored websites can all be unlocked from servers situated within locations where that service is permitted. For example, a customer spending time in China can easily block the BBC iPlayer site by logging in from a UK server. BBC iPlayer is freely available in the UK but is blocked for users displaying a Chinese IP address. All in all this is a useful service and virtually the only negative review is that plan prices are a little expensive compared to some providers. I like expressvpn, everything works as intended and I even had a stupid question which was answered quickly and very friendly by the support. Being based in the United States poses a slight security risk, as it means ExpressVPN is subject to US data retention laws. on the side bar “Features” states-> Non US Company! and somewhere else on this website mentions British Virgin isles. so US on non-US? Which one? Thank you al, we corrected the mistake. 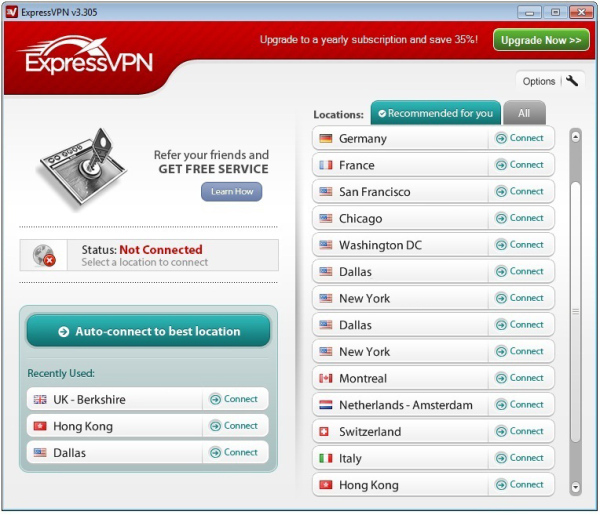 ExpressVPN is based in BVI. Sorry for the confusion! 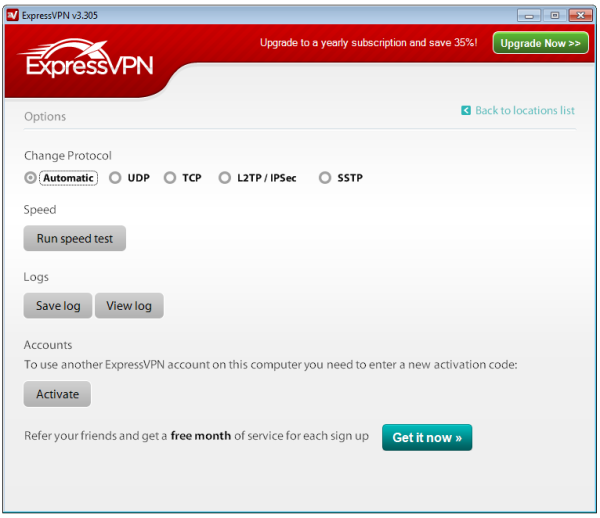 You have in the table http://www.vpncomparison.org/ written than Expressvpn has also Linux client software- not true.On Linux, the user can only use PPTP or OpenVPN protocols which are blocked from China. Thats right lulia. But as far as we know, no vpn provider has a dedicated client so far. But some have example scripts like HidemyAss. But if you are in China, i wouldnt mind about VyprVPN keeping logs – they are far from the reach of the chinese government. VyprVPN is way more exposed to NSA and GCHQ – so for china it should be a very good option. Hello, I need your help please. I can’t choose between ExpressVPN, HideMyAss, IPVanish and VyprVPN. I will be using it on an android device and for streaming foreign TV (France, UK, US) being Canada. I want a client that is very simple to use and very reliable. Thank you very much for your help. i would choose ExpressVPN in your case. Their Android App is very simple, the network is fast and reliable. As you just want to unblock foreign TV, logfiles or not should not be a issue for you. I use them to unblock Netflix while i travel the world with my LG G-Pad. I had Nord VPN before but their network was superslow every third day for over 2 weeks, then i switched to Express. hello i will be studying in beijing for the following year. I saw some reviews and i cant decide between expressvpn or vyprvpn. Any advice on which one to use? @jaimefrai – use VyprVPN in this case, their Chamaeleon Protocol might give you a little advantage in China. ExpressVPN is the WORST VPN service out there. They have a custom software application which is painful to use and which they refuse to improve. To achieve a quick Internet connection with ExpressVPN you will really need to run a Speed Test every time you connect to the Internet. ExpressVPN has a bunch of VPN locations which you will never use (like Kazakhstan) but each time you run a Speed Test they require testing ALL the VPN locations (even the ones you will never use) which is a huge waste of time. During the Speed Test process they first ping the VPN server to test the response time then test the download speed. ExpressVPN Speed Test insists on conducting a download test for VPN servers which Time Out during the ping test which you would not want to connect to anyway. 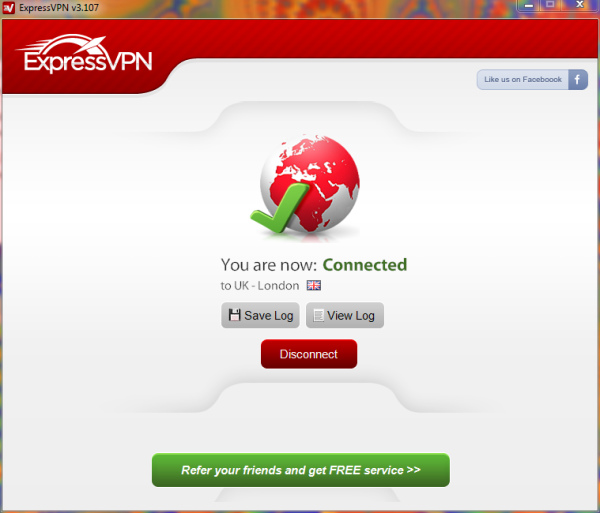 In short using ExpressVPN requires about 10 minutes to connect to the Internet each time you use it. It is a complete waste of time and you should stay away. No service is worth the hassle of using ExpressVPN no matter what the price. They stole 99.95 USD from my paypal, said they refunded it when they had not when I asked for it back. I put in an unauthorised transaction concern to paypal who sided with them with no explanation why. I sent a request for my money back which they refused to cooperate with. They will keep spinning lies in order not to refund you what you don’t authorise them taking. Now because I put in an official complaint to paypal they’re not sending me the refund despite pretending they already had! I live in Singapore and have high speed internet and have been using buffered with success on my iPad but when streaming to my tv the picture freezes which I assume is an issue with the speed. Will Express provide a faster service connecting to Australian TV content? absolute crap, unstable, slow, barely ever connects. I live in China and have the fastest available internet which is 100mbps, express VPN is a waste of money, DO NOT BUY! Their tech support is top notch.Within 20 seconds they found the problem with activating my account through live chat.People on live chat not just respond fast rather they are knowleadgable. When i went to China i used ExpressVPN and i was satisfied with it because it let me access all the blocked sites in China with a very good speed. VPN Sem Arquivos de Log!